In the age of the cloud, processes are only becoming more transparent. The use of computing and automation tools means that a wider range of data is much easier to oversee. It also means that inconsistencies within that data are much easier to weed out. 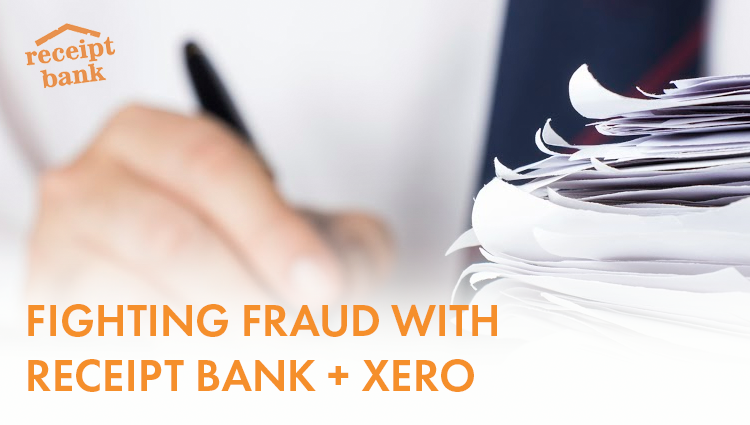 A Receipt Bank partner in Mornington, Australia experienced this first-hand when they used Receipt Bank to discover an employee fraud worth $200,000. X Accounting* onboarded their client, a large construction company, to Xero about three years ago using hard copy invoices. While the shift to Xero saved some time, there was still a very high volume of paperwork to process. As a result, the business owner didn’t have time to check over all the invoices before they were sent to the accountants. Six months ago, the client was moved onto Receipt Bank, to reduce the time spent on paperwork. X Accounting told the client that from now on, there was no need to send hard copy invoices. Receipt Bank uses data extraction technology, so receipts and invoices can submitted via the app, email, or a range of other methods. Going through the client’s Receipt Bank data, they saw that while some transactions had invoices attached to them, the client – or rather someone within the client’s company – had used old receipts and changed the date on them. Since Emma had started her career in audit, this raised alarm bells. She decided to contact NAB and request payments made with names and bank account numbers. From there, it all unravelled. It transpired that the office manager of the client, who had worked in the company for over ten years and had come to be considered a trusted friend of the client, had committed employee fraud to the value of $200,000 over three years. When asked whether she had encountered anything like this before, Emma replied, “No, however small businesses should start to look into it, as I’m sure it happens a lot.” X Accounting has been using Receipt Bank for a number of years, and Emma says it was indispensable in this particular instance. “Having hard copy invoices would have been harder to compare, and just more manual,” she says. X Accounting uses our Practice Platform product, alongside the Receipt Bank Custom software. Practice Platform is a comprehensive dashboard of a firm’s client workflow. Users are able to see the number of Unreconciled Items, that is, transactions in a client’s bank feed without corresponding receipts in the database. There is also the Missing Paperwork function, allowing the user to see Xero (or other integrated accounting software) transactions which are missing Receipt Bank data. Using these two key tools, X Accounting were able to flag the problem early before it spiralled any further. In this case, and in many others, our software lends itself perfectly to ensuring that all your clients’ data is correct and verified. The result is a bookkeeping solution that has client security at the heart of its operation. “Business owners get busy,” she says, “but cloud accounting can enable them to perform these critical reviews to ensure they have segregation of duties in such a small office. Keep your clients’ data secure and offer a superior customer experience with Receipt Bank. Click the button below to request a call from our friendly team and find out how you can transform your practce.